Shot with DVCAM and transferred to 16mm film. Time 10 min. Silent. 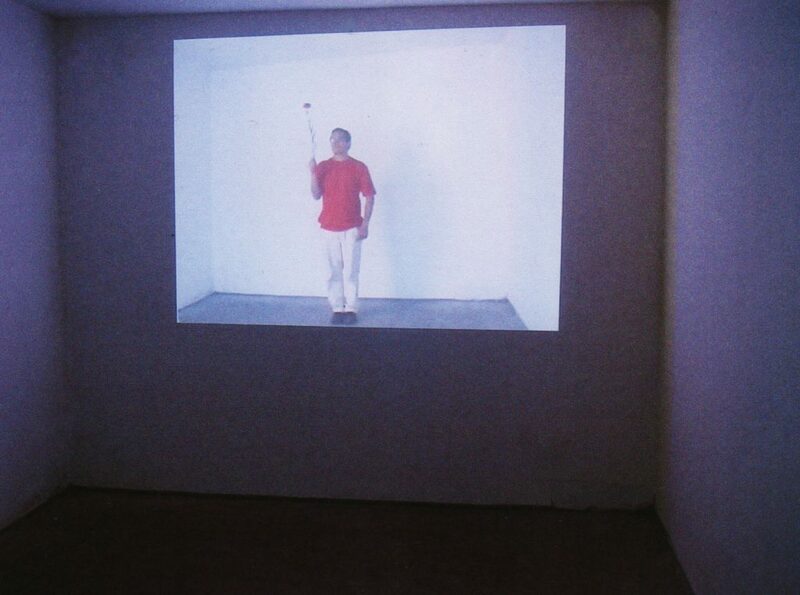 During one month residency period in an abandoned apartment block (Plattenbau) in Hoyerswerda ( East Germany) I made a performance called "8 Hours work". As a manifestation of solidarity I perform as a coal-mining worker holding a carnation flower (Rote Nelke) for a period of eight hours . My right hand holding the carnation flower (symbol of left revolutionary socialists) could represent a balance of forces and conflict of powers (East/West) at the same time.